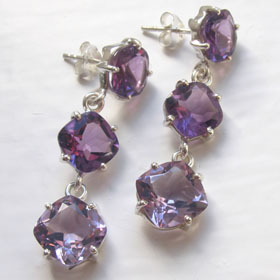 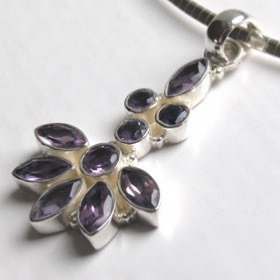 eamed with the right chain, it will create a stunning amethyst necklace. 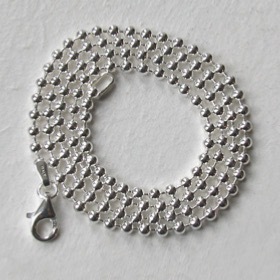 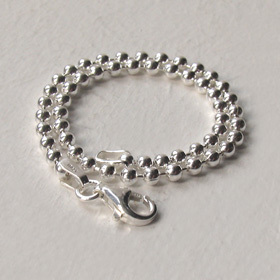 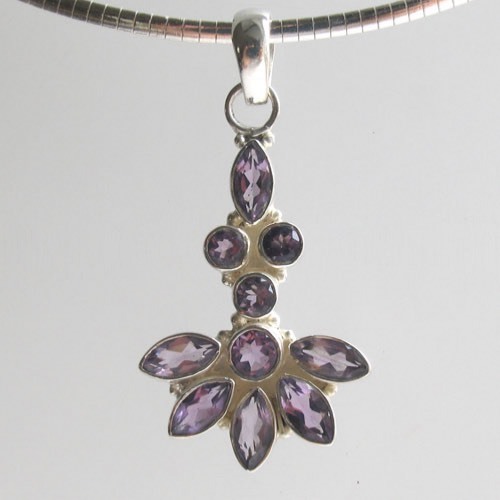 The design is unique and works well worn high as a choker or at a standard length mid chest. 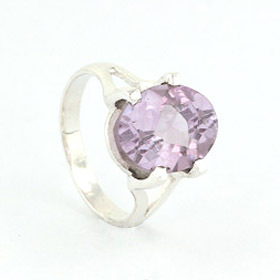 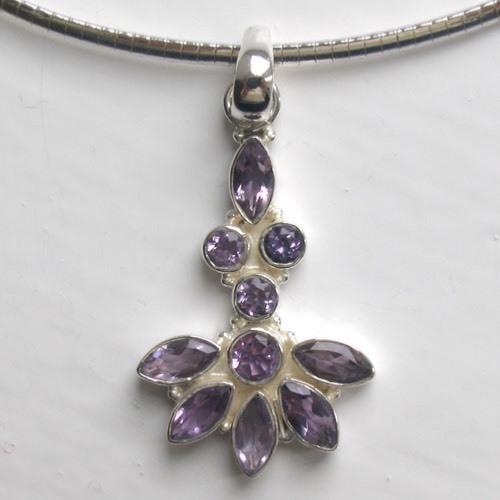 Like all our amethyst pendants, this amethyst pendant features genuine, natural amethyst stones. 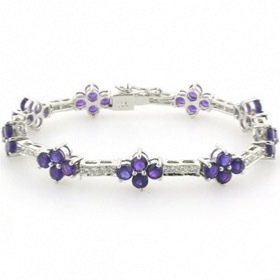 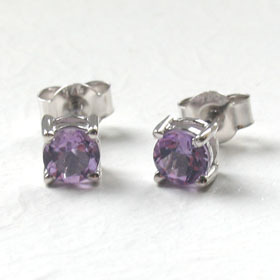 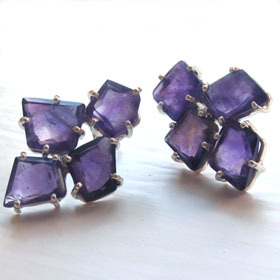 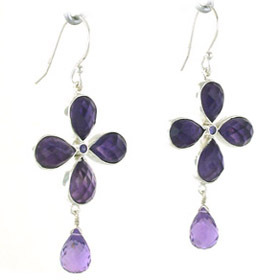 We do not use synthetic crystals or dyed rock crystals sometimes referred to as "amethysts". 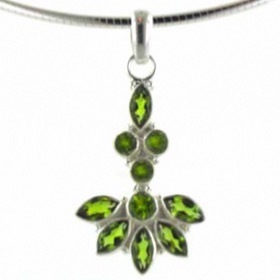 Also available in peridot and iolite. 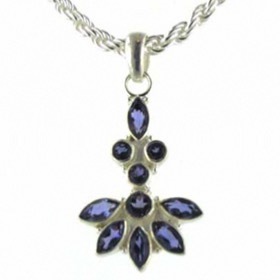 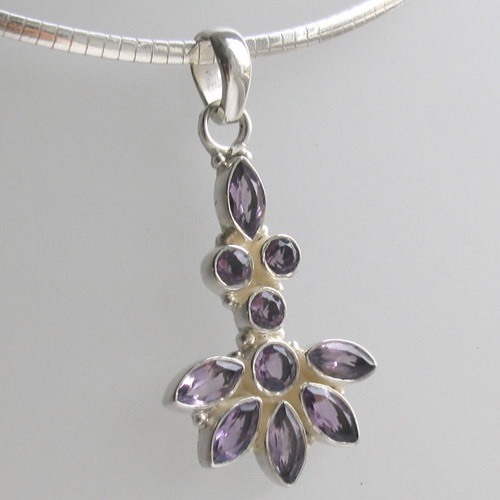 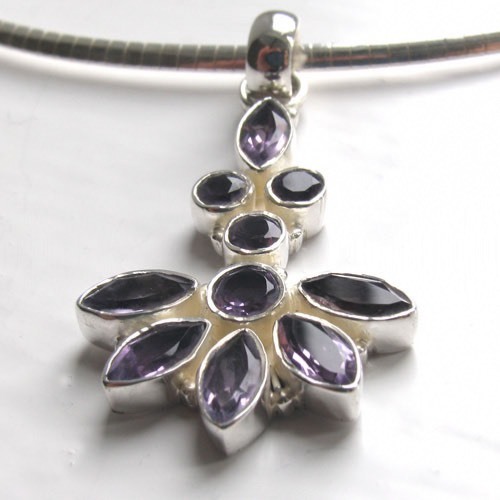 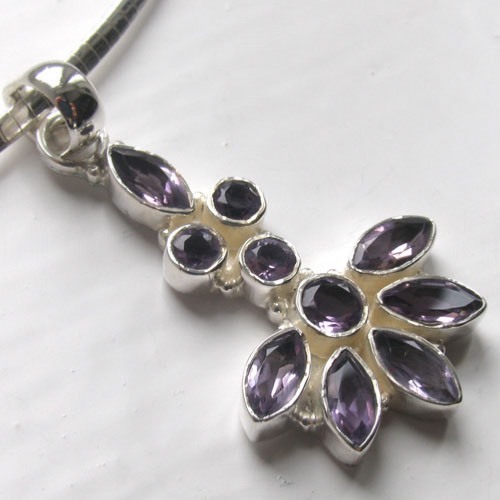 For the ideal sterling silver chain to wear with this amethyst pendant see our collection of Italian silver chains.